About Us - A+ Japanese Auto Repair, Inc.
We work every day to uphold our core values. Integrity, quality, commitment, and creating lifelong clients. We will work diligently to make sure all of these values are part of your auto repair experience Our entire Office / Advisor staff are ASE certified automotive service advisors that constantly train to provide you with the best customer service experience. We promise to provide you with an open and transparent auto repair experience and the highest level of customer service when you visit A+ Japanese Auto Repair Inc. The quality of a company is expressed through the quality of its leadership. For nearly 16 years A Plus Japanese Auto Repair has benefited by strong, decisive leaders in the company, dedicated to the core principles of integrity, quality, commitment, and the best automotive repair available to residents and clients in San Carlos California and the surrounding communities. For those who rely on their vehicles to safely deliver them to and from work, safely drop off and pick up their children from school we offer you that peace of mind. This commitment extends beyond San Carlos California into the surrounding communities. The other communities we are committed to are Belmont California, Redwood City California, Foster City California, Woodside California, and San Mateo California. 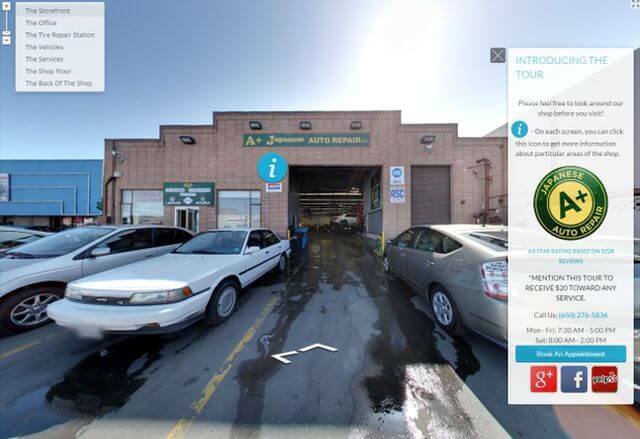 We realized there are many choices for auto repair in these communities. And because of our past, our passion, and our purpose for providing you reliable transportation we value the communities that have made us their auto repair facility of choice. Part of our strategy for providing reliable auto repair and service to these communities is employing highly qualified ASE auto repair mechanics to service your vehicle efficiently and cost effectively. Another part of our success is using the right parts for our clients vehicles. We specialize on Honda, Acura, Toyota, Lexus, Nissan, Infiniti, Subaru, Mazda, Mitsubishi, Kia, Scion, Hyundai, Isuzu, and Hybrid Vehicles. Each one of these vehicles requires factory designated fluids, special parts and at our service shop we don't sacrifice quality when it comes to parts. A+ Japanese Auto Repair Inc. is very selective when choosing our suppliers of automotive replacement parts and supplies. For this reason we offer the highest level of customer satisfaction and the longest warranty on the California bay area peninsula for your peace of mind. Feel confident that you made the right choice for your auto repair needs with a company that stands behind everything we do with our 24 Month – 24,000 mile warranty. 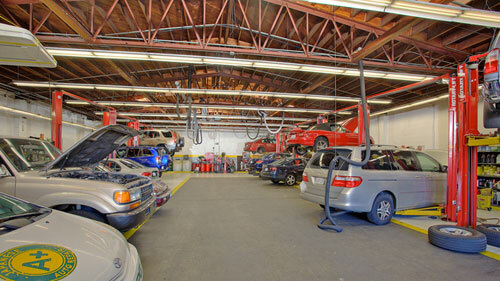 We are experts at what we do and offer a reasonably priced auto repair service. We hope to make a life long client out of you too! Both owners and the majority of the staff are peninsula residents that were born and raised here. This is the reason you see our shop at so many community events. We feel good about giving back to the community, schools and programs that gave so much to us as we grew up here and now are raising our own families here. Whether we are holding a Boy Scout merit badge class, providing a mentorship program to Carlmont or Sequoia students, or handing out our Green bags at the San Carlos farmers market we spend a lot of time building strong ties in the community. We always look forward to hearing from our clients about ways we can contribute to the community, donate time, money, and resources to help make San Carlos, Belmont, Redwood Shores, and surrounding neighborhoods a better place. Let us know if you have a worth while cause for us to get involved in!